Dust belts are the remains of material that did not form into larger bodies such as planets. The particles of rock and ice in these belts vary in size from the tiniest dust grain, smaller than a millimetre across, up to asteroid-like bodies many kilometres in diameter . 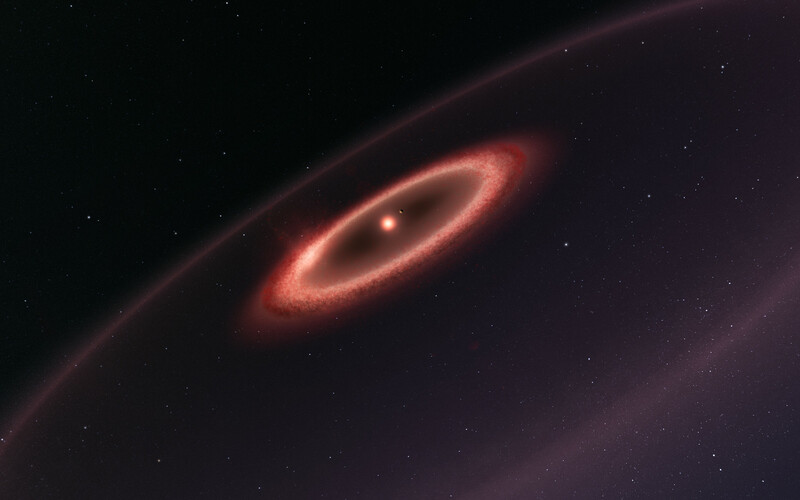 Dust appears to lie in a belt that extends a few hundred million kilometres from Proxima Centauri and has a total mass of about one hundredth of the Earth’s mass. This belt is estimated to have a temperature of about –230 degrees Celsius, as cold as that of the Kuiper Belt in the outer Solar System. There are also hints in the ALMA data of another belt of even colder dust about ten times further out. If confirmed, the nature of an outer belt is intriguing, given its very cold environment far from a star that is cooler and fainter than the Sun. 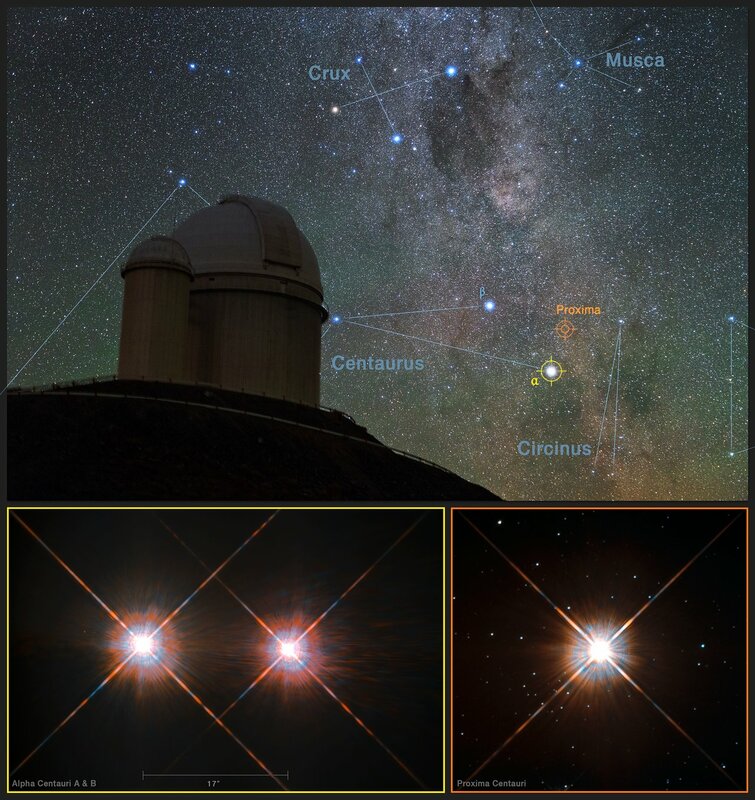 Both belts are much further from Proxima Centauri than the planet Proxima b, which orbits at just four million kilometres from its parent star . In a cosmic coincidence, the lead author of the study, Guillem Anglada shares his name with the astronomer who led the team that discovered Proxima Centauri b, Guillem Anglada-Escudé, himself a co-author of the paper in which this research is published, although the two are not related. Proxima Centauri is quite an old star, of similar age to the Solar System. The dusty belts around it are probably similar to the residual dust in the Kuiper Belt and the asteroid belt in the Solar System and the dust that creates the Zodiacal Light. The spectacular discs that ALMA has imaged around much younger stars, such as HL Tauri, contain much more material that is in the process of forming planets. The apparent shape of the very faint outer belt, if confirmed, would give astronomers a way to estimate the inclination of the Proxima Centauri planetary system. It would appear elliptical due to the tilt of what is assumed to be in reality a circular ring. This would in turn allow a better determination of the mass of the Proxima b planet, which is currently known only as a lower limit.